William Shakespeare. The Bard. Today, 23rd April is his birthday. Let me share some books related to him and his work that we have enjoyed. Somehow there is this belief that Shakespeare and his work is not for children. Too difficult. Too nuanced. Too obscure. Not so. Shakespeare can be enjoyed by children too, in both abridged and original forms, and it is never too early to introduce his work to them. It also introduces a whole new time period to them. A way of life that was. A peek into history- both of man, and of the written word in English. For Shakespeare was an alchemist with language, introducing new words and expressions that we now take for granted. These re-tellings with their illustrations have a fairy-tale feel to them. Told in very simple language, without detracting from the sense of fun, wonder, drama and adventure of Shakespeare's plays, this book features eight of the plays, including Romeo and Juliet, Hamlet, The Merchant of Venice, The Tempest, As You like It- I forget the rest as this was a library book we enjoyed when A was 6. Keeping in mind that these are plays, Matthews gives a 'list of cast' at the beginning of each one. A good touch. Orchard books also has these plays, and then some more, as individual stories, each featuring one play, all for the age group of 4-8. 8+ year olds can enjoy exploring them on their own. Marcia Williams is no stranger to readers of Saffrontree. We looked at her book on stories by Charles Dickens here. She has written similar books adapting the Bard's stories, in a similar inimitable graphic novel form. Taking the art of re-telling to a new high. Re-told and illustrated by Marcia Williams. This one has Julius Caesar, Romeo and Juliet, Hamlet, Macbeth, A Midsummer Night's Dream, Macbeth and The Tempest. 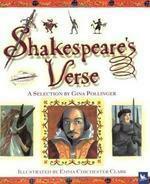 Also published as Tales from Shakespeare by Candlewick Press. The illustrations in both these books bring forth the flavour of the tale that is being re-told. For example, those of Hamlet, Macbeth and Richard III have a tragic and dramatic quality to them, mostly in black-and-white and shades of grey. This one features King Lear, As You Like It, Much Ado about Nothing, Antony and Cleopatra, Twelfth Night, The Merchant of Venice and Richard III. 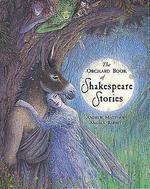 Also published as More Tales from Shakespeare by Candlewick Press. Marcia Williams, too, has kept in mind that these are plays we are dealing with. Each double spread has detailed drawings around the edges, comprising the audience that watched the plays in the heyday of Shakespeare. Just like they did in the Globe theatre where the plays were originally staged, the audience in the book is an integral part of the stories, - interacting, commenting, heckling, applauding. First published in 1807, these are re-tellings in prose form, detailed versions that cater to an older reader who can comprehend more of the intricacies of the plays. This has been the version that my generation is more familiar with. These re-tellings are faithful to the originals, though much of the beauty of Shakespeare's language is diluted. Worth a read, though, for those who want to next go to the real thing. An introduction by Dame Judi Dench adds much value to this child-friendly Puffin edition. Again, a re-telling in prose form, this time by a master story-teller E. Nesbit, better known for her wonderfully magical book 'Five Children and It.' The language is lyrical, yet easy to comprehend, and makes for wonderful reading-aloud. She brings alive the twenty plays which include the usual suspects. There is a lot of value added to the book by the inclusion of short biographies of both the Bard himself and Ms Nesbit. There are also some fun facts about Shakespeare and the times he lived in- a wonderful lesson in history that we enjoyed. For eg., all the 27 satellites of Uranus are named after Shakespearan characters. Or, the fact that he invented more than 1700 words in the English language. Or the fact that although the Bard is often called Sir William Shakespeare, he was never formally knighted. The title was informally bestowed on him only years after his death. This edition has an introduction by an Indian actor Naseeruddin Shah- who could be called an actor in the Shakespearan traditon- who, while lamenting the fact that Shakespeare be abridged, lauds this attempt on Ms Nesbit's part, and hopes that this version would tempt the reader to move on to the original in all its beauty. Designed like a children's book of poetry/ nursery rhymes, this book has a poem or two on each page, in a child-friendly font and plenty of full colour illustrations, the book is a pleasure to hold and browse through. With the difference that each piece of poetry is undiluted Shakespeare. However, while we can enjoy discrete pieces of Shakespeare's work in the original, it is only by knowing the actual tales that we can place them in their context. So this book can actually be used in combination with the other books mentioned to get a more complete picture, in preparation for the next step- the originals. Seen the first three - my favourite are the Marcia Williams ones! Nesbit's sounds intriguing, we're currently on a classics spree and her tales of the Bastables children is the latest obsession - so would love checking her version of Shakespeare out. 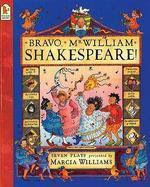 Oh and Sandhya there is this brilliant set of Shakespeare's Tales by Andrew Matthews and with Tony Ross' illustrations. These were my daughter's first intro to the bard. 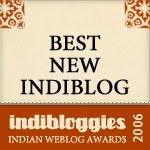 Choxie, had already linked to this list on flipkart in my post. Click on the words "as individual stories, each featuring one play" at the bottom of the review of Andrew Matthew's book. Thank you for the wonderful compilation, Sandhya. Ana likes Marcia Williams' books as well - the few we've come across so far: the busy borders and comic book style presentation probably appeals to her young mind. p.s: And quite by coincidence, we just read The Book of Dragons by E. Nesbit recently - will have to share it here at ST soon.